It was in Bengal (Now Bangladesh and the Bengal Part of India). The world’s most Pathetic History for all Bengal and Chinese people, which is 100 % hidden. Please concentrate 100 % to this article and reverse yourself to 1764 year ,put your mind and soul that you are in this year that is 1764 – Bengal lose war in “ Palashi “ with Britain . Try yourself meditating to that time. After lose in “Polassy “war in 1764 year in Palassy with Mr. Lord Clive, The Great Empire Shiraz Uz Daula loses his power in Bengal and other parts of Greater India. Letter on he was killed with his family. Within two year British took over the Whole Empire. Whole the Greater India falls in British colony. At that time Britain had a business trade with China. British try to colonize the China several times, but eventually they could not colonize the China. They bought from China, Silk, tea and some other stuff/commodities .In the beginning they paid by silver to China for to buy their stuff. At that time Chinese market was small, kind of poor. So, Britain could not sale anything to China. Huge trade deficit stand up between China and Britain .Britain had to pay huge amount of money to China. They thought what they (British) can do for this. They do not want them to pay silver or cash money for the trade with China. 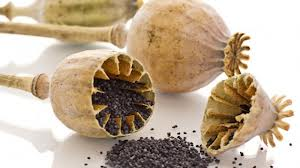 At that time in this Greater India (here and their) they used to produce Opium (poppy seed).From this Opium people make life treading drug Heroin. At that time this area (Greater India area) people were using very small amount of Opium for medicine or socializing purposes. All of the Bengal was very fertile land for agriculture, this area was very rich. Crops from this are feed the major parts of the Mogul Empire .Now British start cultivation this Opium in this Bengal (Now Bangladesh and Indian Bangle part) .In 1767 they send first container of processed Opium from Bengal to China. It was very hard for them to market in China. But soon next three year and after that next ten years it got huge market in China .It was shipped from Calcutta port to via Hong Kong to China. They start producing Opium all over the Bengal. 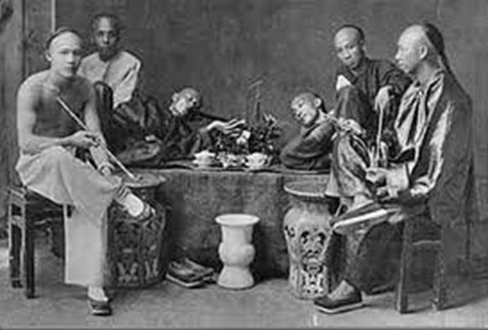 At that time it called “Opium Coin “.They paid for their opium to Chinese to export their stuff to Britain and all over the world. In China, Opium was band, they brought it smuggled way. The British traders give money to Chinese authority to port , other govern people and all other Chinese people for their Opium trade .Business went very well for British Empire .No trade deficit came in with Britain and China trade. Britain start making huge money .Chinese authority see if this continue China will be poor and whole country will be collapse .In side they try to control it , it was very hard for them to control inside China . Chinese Authority wrote a letter to British Queen and British parliament to stop doing this business but British denies that request. Then Chinese declare war to Britain 1828 – this call first opium War (Opium War I). Off course China loose. It opens up more Opium trade with China. Letter 1856, Chinese authority burned 2000 tone Opium, again war with Britain with China. This is call Opium war ii. In this war also China loose. China lost lots of their soldiers, lots of houses was burned. British gain more ports, British win Kowloon, Hong Kong, Guangzhou, more several ports in China. British took over Hong Kong also; it opens up full swing Opium business until Hitler second war impact on 1949. Opium was cultivated in Bengal all over of this fertile land. By 1834 it is estimated that more than 100,000 acres of most fertile land in Bengal area and all of the by river side’s of Ganges was Opium field. It was done by forced by the Bengal slaves (farmers to British Empire). They pull the opium poppy , sort it , smash it , dry it make small packet , cover with bigger opium leaves , make boxes from mango tree , put a Chest .The Chest was weight approximately( 125 pounds to 140 pounds ) . It was similar to tea processing and ready to ship. All the opium was sold in Calcutta in auction. It was controlled by East India Company. After the auction all of the money was send to England. It was bought by small traders (smuggler) by cash. For each of the opium, the traders pay by cash. The British smuggler/traders took it to China. By doing this British Empire go rich day by day but Bengal farmers went extremely poor, they had no rice (food) to eat. 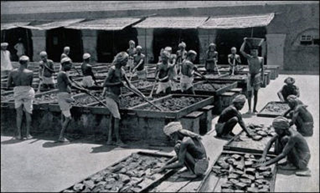 Letter on they (British) could not feed the poor slave farmers (Bengal Opium farmers / cultivator), they require little money to feed this poor farmer. There was another problem also that small small other Opium traders (opium smuggler) came start doing this opium business by cultivating opium besides their home or so in Bengal .The British Empire want to control of the opium business via East India company . So, British parliament starts giving small loan, micro loan (micro credit) to continue their business, to the poor farmers. So, all forced Bengal farmer came more slave to British system. After that micro loan, the poor Bengal farmers became 100 % British slave .So, all of the Opium business 100 % took over East India Company. It was financed by British Empire. Opium business became the highest profit for British Empire. It generates the highest amount of money. This money makes the British Empire stronger day by day. As long as it was the smuggling items for British Empire, in their book they never ever mention that they produce Opium. They always indicate that they produce Jute, Cotton, Dye and other items in Bengal. But not Opium. There were also no documents for Opium also. It was cash deal with British Empire via the East India Company with the white British smuggler /traders. This is a research document by Canadian Non Profit Group “The Journey of Peace “, website (www.thejoiurneyofpeace.com ): All of the content is own and reserve by that above mentioned Non Profit Organization only and it is the under copy write low of Canada . Do not use any of the content of this text. 4 The British Library. Trading Places. Permanent Link:http://www.bl.uk/onlinegallery/features/trading/china 6/ United States, from all sources whatever, and a larger sum than any one nation on the globe pays to another for a single raw material”. 6 Ramaswamy, M. 1956. Constitutional Developments in India 1600-1955. 8 Habib, Irfan. 1969. Potentialities of Capitalistic Development in the Economy of Mughal India. The Journal of Economic History -29, Nr. 1: 32–78.